New listingGreat Britain KGV Jubilee 1935 Ha'penny x 36, Fine used cv£36. Great Britain almost completely u/mint 1929 UPU Congress cv£70.50 2015. 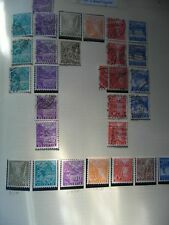 1929 UPU Congress, incl block of 9 three halfpence. New listingBermuda KGV 1918-22, Wmk.MCA 2/- 5/- 10/- shades, cv£1699 postally used. Bermuda large KGV defs. 1st issue wmk Multiple Crown CA. 2nd issue Script 1924. New listingKenya Uganda Tanganyika KGV,KGVI,QEII fine used selection. 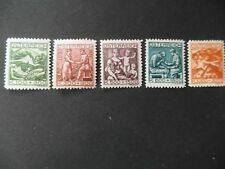 Stamps Canada KGV/VI pictorial defs. 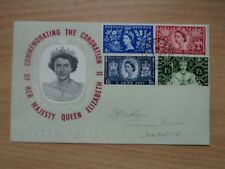 (22) 1927-1946 good/fine used cv£82.20 2008. 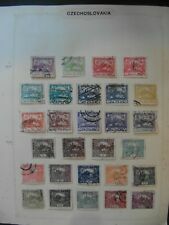 1927 SG267, 1928 SG281-283, 1930 SG300-302, 1932 13c. silver jubilee, 1935 Sg346-351 & 355 air, 1942 20c. SG386, 1946 SG402-406, fine used. Canada 1930 def.set cv£78.3o fine used ex 1c.orange, 8c.blue + 1932 opt die II. Slight fault 5c. All Die II. 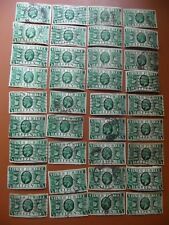 New listingCeylon selection, fine used, KGV+. Ceylon defs &c fine used. Stamps : Album page Liechtenstein, complete 1920 Imperf./Perf./P.Due defs, . Great Britain KGV Jubilee 1935 Ha'penny x 36, Fine used cv£36. Bermuda KGV 1918-22, Wmk.MCA 2/- 5/- 10/- shades, cv£1699 postally used. 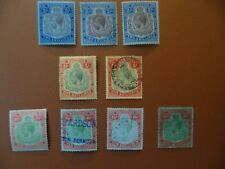 Ceylon selection, fine used, KGV+. Kenya Uganda Tanganyika KGV,KGVI,QEII fine used selection.